The drama is never-ending on Bachelor Pad 2! This week’s episode started with Jake’s dramatic farewell, a kissing competition and more emotional breakdowns from Melissa. Two more contenders — William and Melissa — were eliminated in their quest for love and money. After this crazy episode, we chatted with our Bachelor Pad 2 experts, David Good and Natalie Getz, to see what they thought about the action. We learned tonight that Blake and Ella are the best kissers in the house — were you surprised they were crowned the King and Queen of Kissing in the Pad? When you first learned of the competition tonight, who did you predict would be the winners? He Said: I was not surprised actually. Ella is pretty quiet and they say “it’s always the quiet ones” and she has nice lips. I thought Michelle might win when I first heard of it, but she vowed out so it was wide open. This week’s episode of Bachelor Pad 2 featured two of our very own, Natalie Getz and David Good. And boy did they make a splash judging the synchronized swimming challenge. Synchronized swimming is no easy task. You need rhythm and coordination in order to achieve a great performance. With former cheerleaders and dancers on the girl’s team, your first impression is that the girls would have it in the bag. Guess again! It was a mere foreshadowing when the first two girls in the line-up could not even dive into the pool. Lucky for them, their bright, flowery head caps and matching bathing suits kept us distracted from their lack of grace. It was a total shocker when Michelle Money planted a big fat kiss on Holly Durst but it helped win her a vote. Earlier this week on Bachelor Pad 2, we saw the rules of the game change (the theme of the rose ceremony was “ladies night”), Gia voluntarily say goodbye to her chance to find love and money and Ames and Jackie take off together in the happiest limo ride in Bachelor franchise history. In case you missed the episode, check out our exclusive recap. As always, following the episode we checked in with Season 1 winners David Good and Natalie Getz to get their take on the drama! We saw a new side to Blake in this episode (kissing Melissa even though he claimed not to have feelings with her, cozying up to Holly, etc.). What’s your take on Blake — is what he’s doing a good or bad tactic for winning? On Monday night, we were treated to a three-hour season premiere of Bachelor Pad 2. As promised, we were reunited with some of the most controversial characters in franchise history, including Jake, Vienna, Rated R and Michelle Money. In case you missed the episode, read our recap to get caught up, and check out our inside scoop from the winners of the last season of Bachelor Pad, David Good and Natalie Getz. These two definitely know the game, so we were interested on their take on the first night of action in “the pad”! Did it surprise you to see Jake confront Kasey so honestly and directly on the first night? And along those same lines, were you shocked to hear that Jake had so many unresolved feelings regarding Vienna? Last summer, Bachelor/Bachelorette alums Natalie Getz and David Good teamed up, strategized and became the co-winners of $250,000 on the first season of ABC’s spinoff series, Bachelor Pad. Now, with the drama meter boiling over from this summer’s most intense cast of characters, ABC just might have a winner on its hands with Bachelor Pad 2. I mean, who isn’t anxiously waiting for Vienna and Jake to go at it again or to see how Michelle Money is planning to play the game? No matter what your motivation is for watching Bachelor Pad 2, if you want some insight and perspective on the cast, you’ve definitely come to the right place. We spoke to the former Bachelor Pad winners, Natalie Getz and David Good, to find out their thoughts on the new season and what it takes to win. We love their candidness and you will too. In fact, you’ll be hearing a lot more from them this season as they join us every Monday evening to answer your burning Bachelor Pad 2 questions. So, if you’re curious about the season, or maybe what goes on behind-the-scenes, send us your questions or Tweet them to @cupidspulse. We will choose a few to feature the very next day on our site. Who are you most excited to see in the mansion this season? If you want to know the key ingredient to winning (no Sheen pun intended), look no further than last summer’s Bachelor Pad winners: Natalie Getz and David Good. Even though these two former contestants didn’t strike a love match on their respective Bachelor-franchise seasons, this dynamic duo made their mark as the first couple to win the ABC spin-off reality show, Bachelor Pad, where 19 past contestants competed for a grand prize of $250,000. Throughout the show’s run, this couple focused on making their way to the finish line. If there’s anything we can learn from watching Getz and Good, it’s that three important traits are needed to keep any relationship moving forward: loyalty, trust and friendship, which they exemplified. While most romantic couples aren’t competing for anything but each other’s hearts, these elements can have you and your partner come out winning too – whether it’s for love, marriage or happiness. Chantal O’Brien and Emily Maynard. Photo courtesy of ABC. With The Bachelor final rose ceremony less than a week away, single women are placing their bets on who they think ABC’s two-time Bachelor, Brad Womack, will give that final rose to on March 14. It’s down to this season’s two fan favorites: soft-spoken southern mother Emily Maynard and sassy, slaphappy divorcee Chantal O’Brien. Based on Womack’s infamous dumping of both DeAnna Papas and Jenni Croft in season 11, many fans wonder if he’ll leave his final two picks heartbroken as well. While everyone has an opinion, nobody can be sure what will happen. Even Bachelor reality TV spoiler sites like Reality Steve have reported different endings before next week’s season finale. That’s why Cupid’s Pulse took this question to the experts: six rose-loving revelers from past seasons – David Good, Natalie Getz, Tenley Molzahn, Kiptyn Locke, Jesse Kovacs and Elizabeth Kitt. After all, who better to ask than former Bachelor and Bachelorette contestants who appeared not once, but twice (just like Womack) on the Bachelor franchise? Each of them competed last summer for a chance to win $250,000 on ABC’s Bachelor spin-off show, Bachelor Pad – which Chris Harrison officially announced will return this year for a second season during last night’s The Women Tell All episode. The verdict: None of the former reality stars chose fan favorite Emily Maynard, who 83 percent* of Cupid’s Pulse readers picked as their favorite for Brad in this week’s poll. David Good got a bad rap when he appeared on The Bachelorette: Season 5 (Jillian Harris’ Season) in 2009. Most infamous for his altercation with former contestant Juan Barbieri and the negative way he used the phrase ‘Man Code’, Good had the opportunity to redeem himself earlier this year on the all-star, spin-off competition Bachelor Pad. Not only did Good surface from the show as the house favorite (and leader), he won the grand prize of $250,000 with partner Natalie Getz. 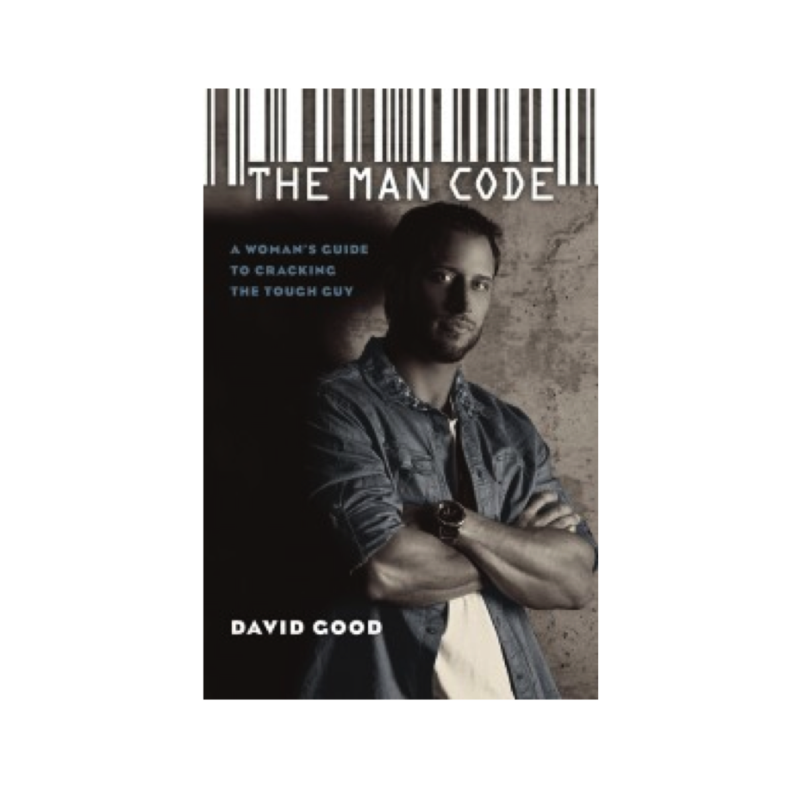 Now, the 29-year-old first-time author is using a portion of his winnings to set the record straight about the true meaning of “Man Code” in his new book, The Man Code: A Woman’s Guide to Cracking the Tough Guy.